Getting a US Tourist Visa is not easy. Compared to the other tourist visas that I had applied before, I must say this one was the most challenging for me. I got denied once but that didn’t stop me to pursue my dream. Because United States is really a dream destination of mine, I applied again. 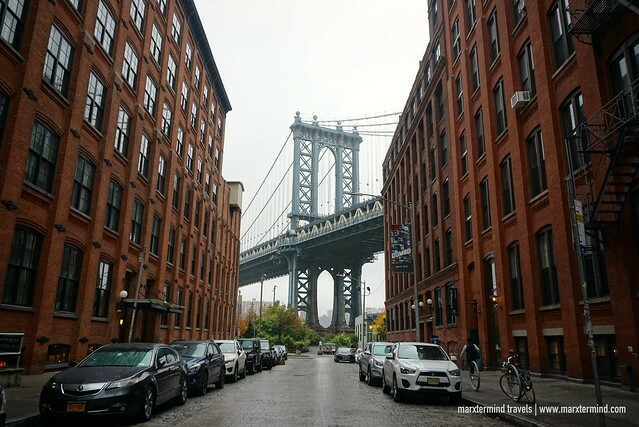 It has been a dream for me to go to the United States, especially in New York City. Earlier this year, when I chanced upon a promo fare from Hong Kong to Washington DC (where New York is just a 4-hour bus ride), I didn’t let that chance pass. The ticket was only around $170 roundtrip so I booked it right away even though, I haven’t had a US tourist visa yet that time. Fast forward to 7 months, I started preparing for the trip. I completed my documents for my visa application, filled up the form online, paid the visa fee and scheduled my interview. Unfortunately, on my first attempt, I was refused of a US tourist visa. Of course, it saddened me. I thought the visa application would be easy for me already since I have a good travel history. I thought it would finally be my chance to see New York. But I got denied of a US tourist visa. Since I already had my flight ticket and was really eager to visit the United States, I took a chance again and applied after 2 months. How to Apply for a US Tourist Visa? After getting denied, I prepared the requirements again. I filled up another form and submitted it online. I paid the visa fee then I waited for a week for a slot in an interview in the embassy. After checking the schedule online from time to time, I was able to secure a slot on my preferred date. B1/B2 Visa was the visa type that I applied. This is for people traveling to the United States temporarily for business (B-1) or for pleasure or medical treatment (B-2). These two visas are often combined. It is issued as one visa, which is B-1/B-2. When I applied the first time I selected both in my application form but on my second time, I only put B-2 since my intention was only for a holiday and tourism. A filled up Nonimmigrant Visa Electronic Application (DS-160) Form. Now, here are the steps on how to apply. Go to this link and start a new application. Take note of the application ID because it will be needed to retrieve the form or continue answering it. The form has the personal and family information of the applicant, travel history, travel information, purpose of the trip, specific travel plans and flight details if there’s any. In the form, I also provided a US contact information, in my case that was my aunt. But if you don’t have any relative you can put the address of the hotel that you will be staying during the trip. There’s also security and background check to answer in the form. On the last page before finally completing the application form, I uploaded my 2″ x 2″ photograph. When the form is already complete, make sure to review it. Because once it has been submitted, you can no longer edit it. After submitting, a confirmation page will show. Take note of the DS-160 confirmation number. This is needed when scheduling an appointment. Save the confirmation page as well, print it and bring it on the day of the interview. Visa Fee is US $160, which needs to be paid in local currency. As of this writing, it is Php 8,800. The fee is non-refundable and non-transferable whether a visa is issued or not. Pay with cash at any Bank of Philippine Islands. When paying, you must present the applicable US Tourist Visa application deposit slip that is available through this link. Pay online – If you have an account with either Bank of Philippine Islands (BPI) or BancNet, you may opt to pay the visa application fee online using their online bill pay services. In my case, I paid the visa fee through online with BPI. For more information about this payment option, please visit this link. Click the New Application / Schedule Appointment. The next pages will show which visa type and visa category you are applying for. The following information are also needed during this step before setting an appointment: valid and correct DS-160 confirmation number and visa fee receipt number. During this step, you also need to choose whether you want to have your passport delivered or picked-up on your preferred 2Go branch when visa is approved. Then, you may now select your preferred schedule for the interview. Tip: You don’t need to select a schedule right away. You can check from time to time if there would be a slot for an earlier schedule or until it becomes available for your preferred date. Sometimes, the embassy releases more slots. In my case, I was checking the calendar every day. I got able to secure a slot for my preferred date a week before. You can bring additional documents, which I highly suggest. These are Certificate of Employment, flight ticket itinerary, hotel booking, bank statement, proof of business and other documents that could support your visa application. TIP: Never give the consular officer any document yet unless it is asked. In both of my interviews in the embassy, the consular officers didn’t ask any of the documentation paper that I brought. Visit the United States Embassy on the day and time of the interview with the requirements for your appointment. Applications without these items will not be accepted. It is also suggested to come in 15 minutes early. Stayed in a hotel nearby, I arrived at the United States Embassy 15 minutes before my schedule. Although I already came in early, the guard was already calling applicants for the next schedule. I approached the guard and told me to line up. Before entering the embassy, there were already greeters outside. There were two lines. One of the staff asked my schedule. Then, she checked if I have all the necessary documents. Once done, the staff told me to enter and go through the security check. After the security check, the embassy staff asked me go to Door # 2. I passed through a waiting area where there are also concessionaire selling snacks and beverage. I also noticed that there’s a photo booth, if you forgot to bring a photo. Inside the interview area, I saw a lot of applicants lining up already. There are three lines. First is for the initial screening, which is most of the time is a Filipino staff who will double-check the visa application. If you have items that you want to edit, this is the time to correct it. When I was filling up the form online, I misspelled my middle name. I was only able to realize it when I printed out my application form. So I asked the staff to correct it during the pre-screening. 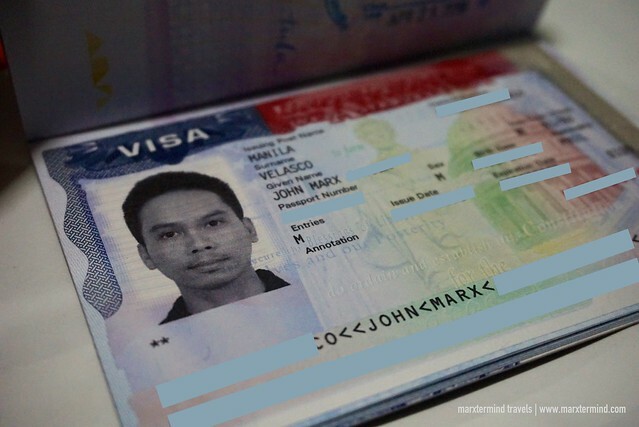 The pre-screeners will also check if the 2″x 2″ photo meets the US embassy requirement. Consular Officer: What is your purpose of your trip to the United States? C: How many days are you going to spend? C: What are the places that you’re going to visit? M: I’m going to New York to visit Central Park, Statue of Liberty, Times Square and Brooklyn Bridge. I would also like to watch a Broadway show. C: What is your role? C: How much do you earn? C: So how much is your budget? Then he gave me a blue slip indicating the reason of my US Tourist Visa refusal. I read the paper but because of despair, I tore it into pieces and threw it in the garbage bin. I have to admit, I didn’t able to prepare an estimated budget for the trip. So when I was asked by the Consular officer, I answered him with a minimal amount for 13 days. But that was only for my food and transportation. For hotel bookings and tours, I can manage to book these with my card and in advance. My flight was also already booked. These are the things that I wasn’t able to explain to the Consular Officer. My Second US Embassy Interview Experience – Success! Learned a lesson on my first attempt, I prepared intensively already for my second US embassy interview. In fact, I also asked a friend to help me practice for the interview. I also prepared a draft with my itinerary, expenses, tours that we would like to join and hotels that we will be staying in the US. Because I want to have a US Tourist Visa badly, I set the interview a day after my birthday. 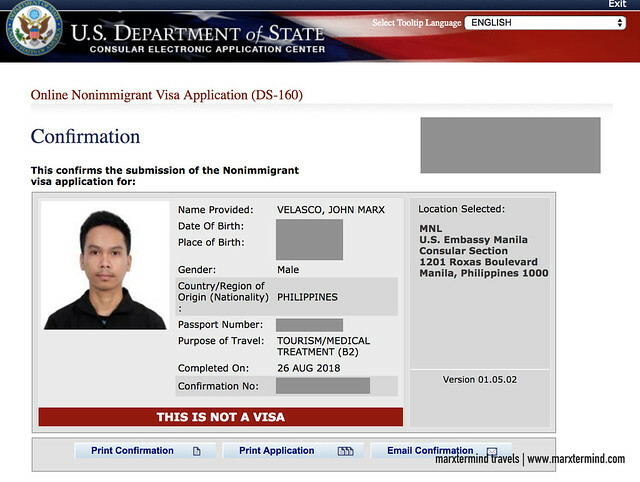 I was hoping that the consular officer can be kind enough to grant me a US tourist visa since it was birthday. I really had that crazy idea but of course, I still made myself ready for the interview. My schedule was 10:15 AM. I left home before 8:00 AM to have an ample time for my travel. But because of the never-ending traffic in Metro Manila, I arrived at the US Embassy 10 minutes late. I thought I wasn’t going to make it anymore but gladly, the staff still let me in. I passed through the security check then lined up for the pre-screening and went through the bio-metrics again. Then, suddenly the American Lady officer asked me how was my birthday. I was surprised how did she know, then I realized I gave her my passport. But that conversation was such a relief for me since I was feeling a bit nervous already. When I was already lining up for third step, I saw the consular officer who denied me a US tourist visa. I saw that he was also refusing a lot of applicants. I was already praying that the embassy greeter will not ask me to line up to that consular officer. The greeter asked our batch to line up in Windows 15+. Yey! I lined up to this window of a male consular officer. Another window opened beside it. A friendly female consular officer greeted the first applicant on the line. After a few questions, I saw that the applicant was approved. Then, another applicant was interviewed and approved. The greeter asked me to go to that line instead because the male consular officer was taking a bit long to interview the applicant in front of me. I went to the next window and the friendly consular officer greeted me. Me: For holiday. I’m [my age] already and I wanted to tick off US from my bucket list. C: What places are you going to visit in the US? M: I’m going to Washington DC, New York and Boston. C: How long are you going to stay? M: I’ll stay for 13 days. C: Do you have relatives in the US? M: Yes, my aunt and her family. They live in California. C: Are you going to visit them? M: Not for this trip. Because it’s too far from New York. Maybe next time. Consular Officer: What countries have you been to? Me: I’ve been to [mentioned some of the countries I’ve visited]. C: So you’ve been to Brazil already? M: Yes, it was supposed to be a South America trip. The plan was also to visit Peru and Bolivia but because of an unfortunate event that happened to me and my travel buddy in Rio de Janeiro, we had to stay in Brazil for three weeks. C: Are you traveling with the same person in the US? M: No, I’ll be with my another friend [mention the name]. Because I travel a lot with different people. M: We met online because we have this Facebook group for travel bloggers in the Philippines. C: So you’re a blogger? C: When was the last time that both of you traveled together? M: I think it was in Vietnam. We also traveled recently in Australia. Consular Office: Have you been to Europe? C: I can see that you were refused of a US Tourist Visa before. Do you know the reason? M: Yes, I wasn’t prepared during my first interview. I didn’t able to plan well and wasn’t sure yet of my itinerary. C: Is anyone going to sponsor your trip? M: None, I’ll pay for this trip. C: Okay, enjoy your trip. You’ll get your visa in a week. I couldn’t believe I made it this time. During my second interview, I was more relaxed and confident. It also helped me a lot that the consular officer was very friendly. The interview just happened casually. Some of the tips that I’ve read in the Internet tell that you have to be short and precise in your answers. But during my interview, there were times that I was already explaining it too long. I guess, just don’t make the consular officer uninterested with your answers. And of course, you have to answer truthfully and honestly. Stick to the information that you provided in your application form. Any inconsistency might lead to visa refusal. Also, be calm. Three days after my interview, I received my passport with a US Tourist Visa label in it. It is multiple entry valid for 10 years. Up until I received my passport, I still couldn’t believe that I finally have a US tourist visa. I prayed hard for this – and I’m thankful to Him for giving me this gift. 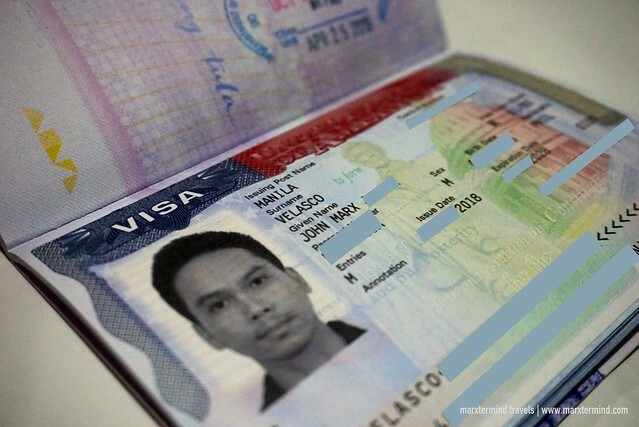 When is the best time to apply for US Tourist Visa? I suggest at least three months before the trip. I applied for the first time three months before my flight – got denied. That gave me an ample time to process my application again. I applied again a month and a half before my trip. Do I need to have a show-money? Just prepare all financial documents that you have in case the consular officer asked for it. How much should be the show-money? It depends on the number of days that you will be travelling. Remember I was denied once because the budget I told the consular officer wasn’t realistic. As a rule of thumb, the estimated budget per day for a US trip should be around US $100. I was refused of a US tourist visa, when can I reapply? You can apply again anytime. In fact, you can submit your application the next day. But make sure that there’s a significant change happened to your profile. If there are no any changes and you feel that you just messed up the interview, feel free to apply again. But remember to be more prepared and always think that you are paying US $160 for this application. It isn’t cheap applying for a visa. Do I need to wear a business or formal attire during the interview? Not really. Just be presentable. During my two interviews, I was only wearing a button-down shirt, chino pants and a rubber shoes. I really need to bring my phone with me. Is there a baggage counter in the embassy? There’s none. And you are not allowed to enter with your phone or any gadget. But there are vendors and people outside the embassy offering storage for a fee. I don’t suggest doing it but if you can’t really leave the house without your phone, then maybe ask someone to go with you so he/she can look after your belongings. Is it required to have flight reservation and hotel bookings? No. But in the application form, it says that you have to put an address. If you’re staying in your relatives, put their home address. But if you’re going to stay in a hotel or rent an apartment, just get the address for the purpose of this application. You may check Agoda or AirBNB. Should I use the service of a travel agent or a consultant for my US Tourist Visa application? This is actually a personal decision. It is not required but if you feel that it will going to be more convenient for you, then you can hire a travel agent to process your visa. But you still have to go to the embassy for the interview. You can also hire a consultant to help you through with the application and interview. In my case, I just asked some friends for tips and to help me practice the interview. I also read some online forum and blogs. Please note that steps provided in this blog are for application for a US tourist visa only (B1/B2). If you are traveling to the US for study or work, or applying for other types of visa, please contact the embassy or visit the official website. Got questions? Comment it down below and we’ll try to answer it. Hi! May I know the airline you used for that Hong Kong to Washington DC trip? That’s really cheap! You’ve mentioned your aunt on your second application, did you indicate it on your form? Yes, I indicated it in my form.